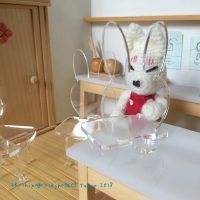 Donsuke is working on new product, bunny chair. 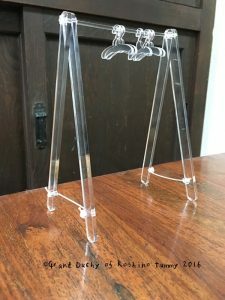 Miniature acrylic clothes rack set for 1/6 size dolls by Roshino’s Ministry of Trade Garments Division. 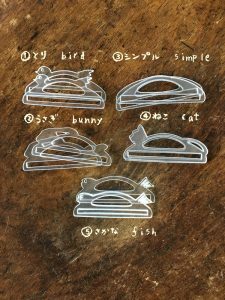 Lasercutting the parts into the shapes of bubbles and clouds. 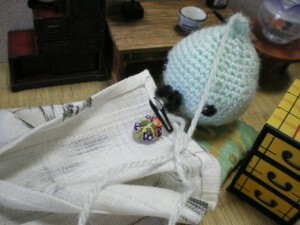 You can hang hats and bags, too: it’s very stable and functional. Acrylic clothes rack set for obitu11 size dolls by Roshino’s Ministry of Trade Garments Division. Lasercutting provides its design with not only beauty but also functional effect. 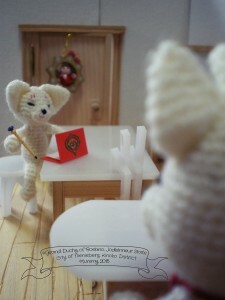 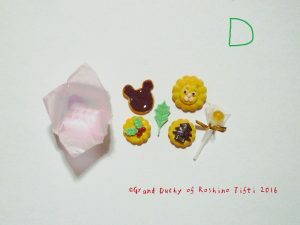 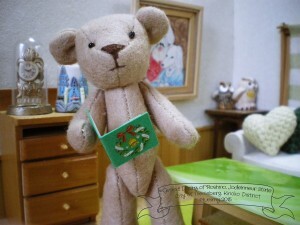 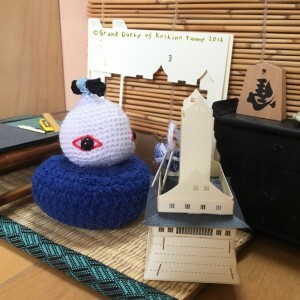 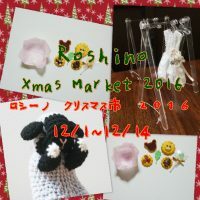 We are having Roshino Xmas Market at Etsy shop. 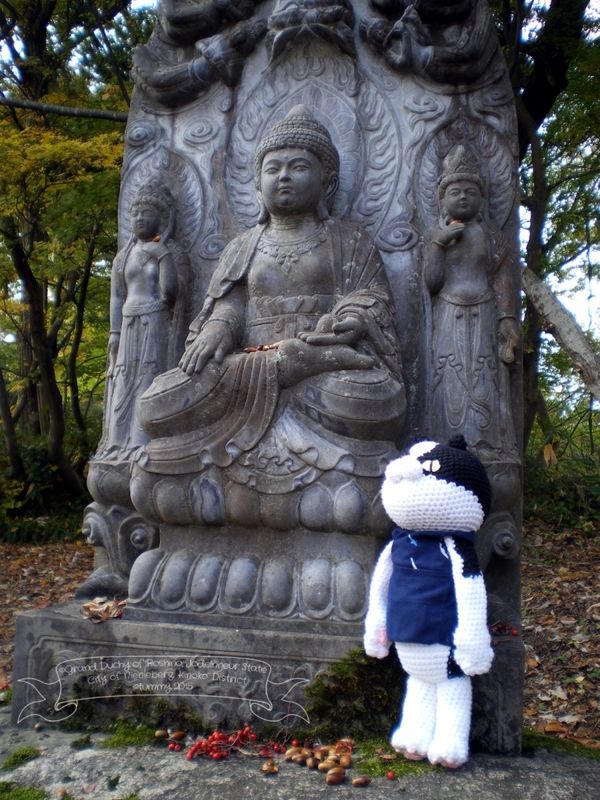 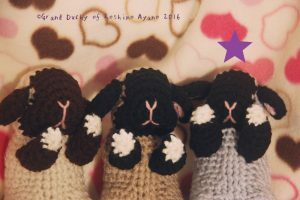 Amigurumi, miniatures, doll’s accessories are on sale. 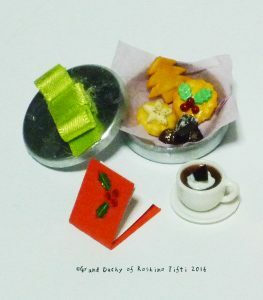 1:12 scale miniature cookies set. 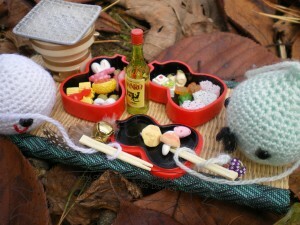 Miniature Japanese tea ceremony set. 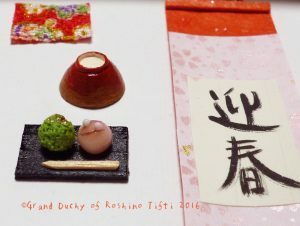 Includes: 2 wagashi, matcha in a bowl, kobukusa cloth, hanging scroll, painted tray, and toothpick. 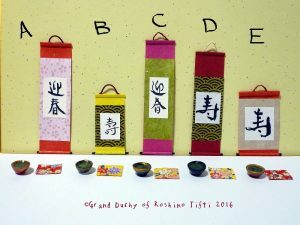 Japanese tea ceremony set comes in 5 styles. 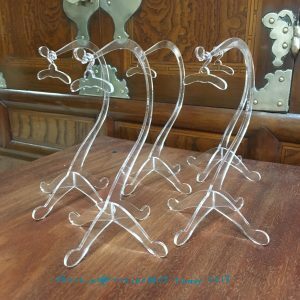 Acrylic animal bag handles for 1/6 size dolls. 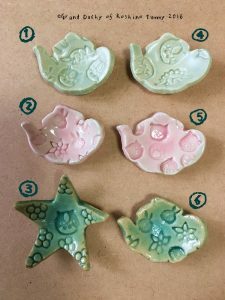 Laser cut into fine shapes. 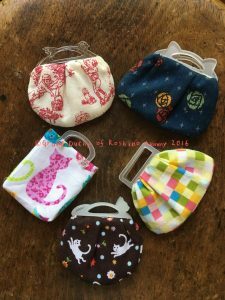 Acrylic bag handles come with original bag pattern and instruction. 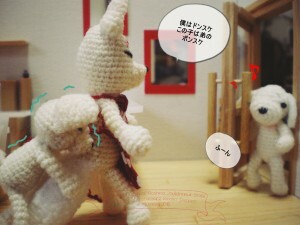 The pic above is sample. 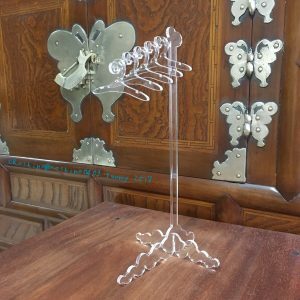 Acrylic hanger rack and cloth hangers set. 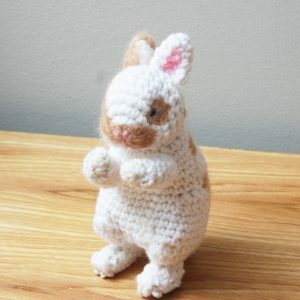 Amigurumi sleeping baby bunny, English lop. 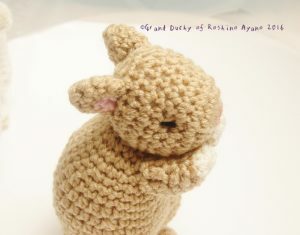 Amigurumi sleeping baby bunny, brown. 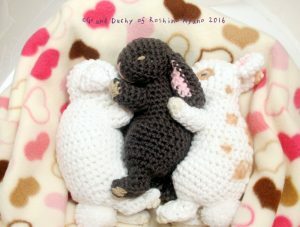 Amigurumi sleeping baby bunnies, saiamese 3 colors. 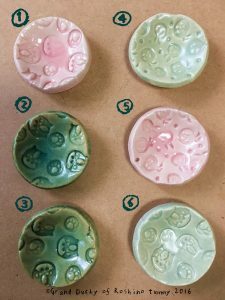 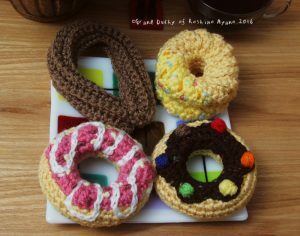 4 types of donut in a set.